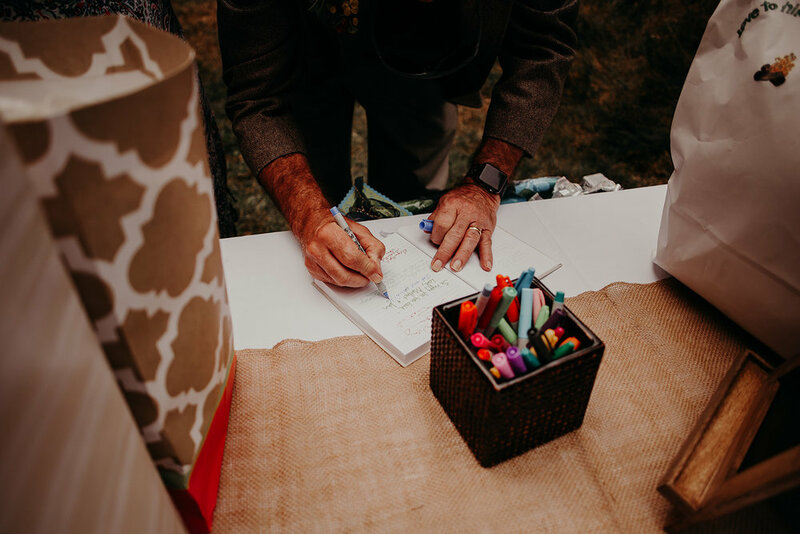 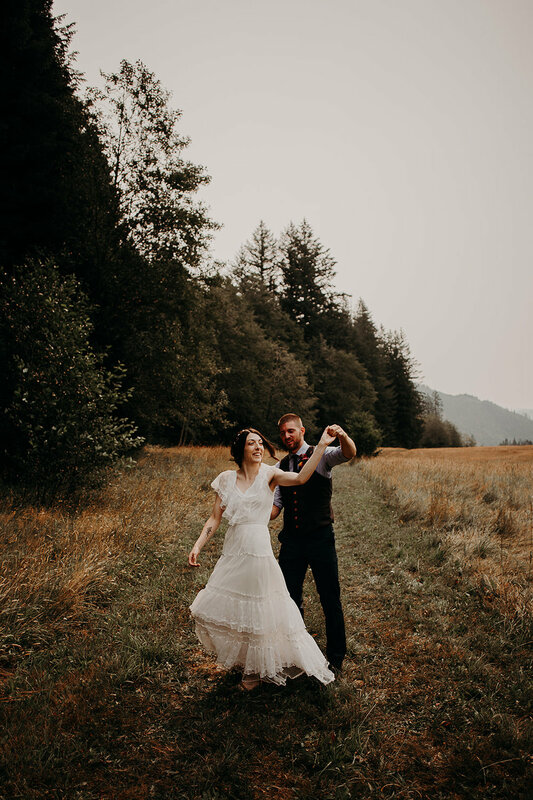 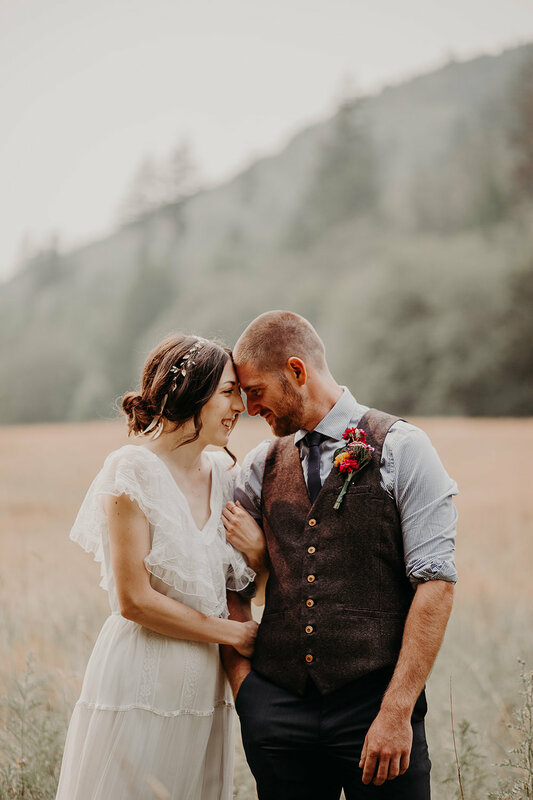 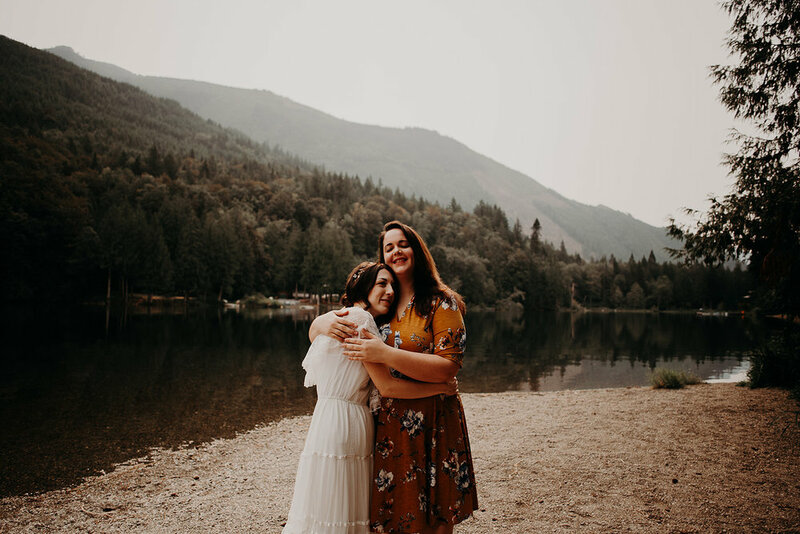 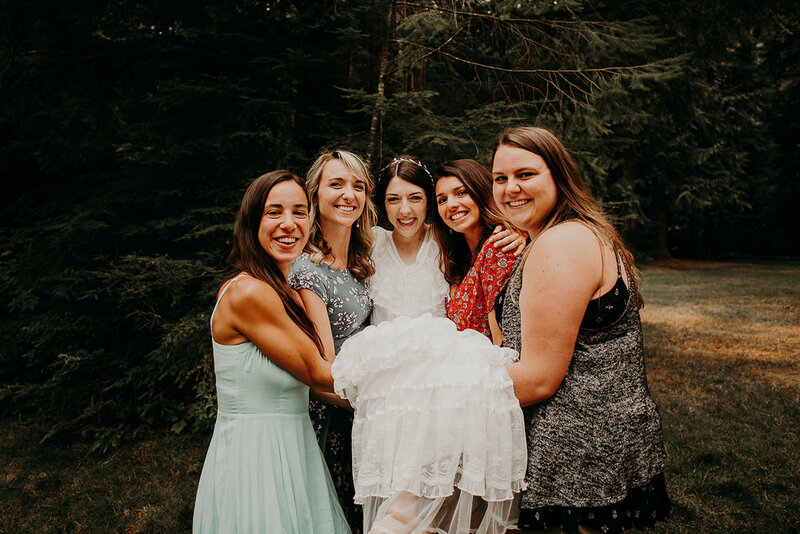 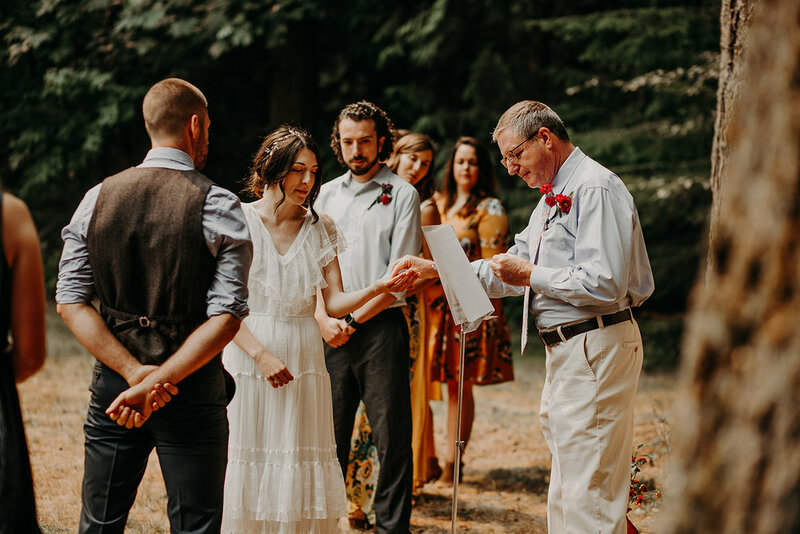 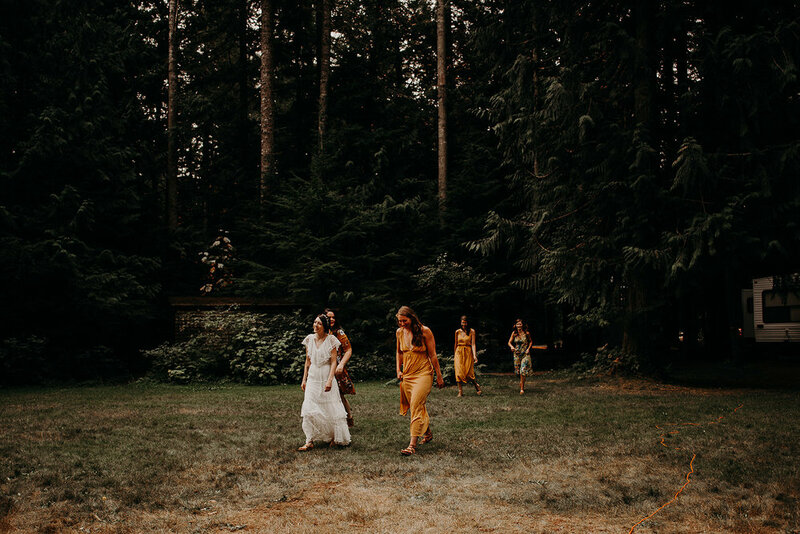 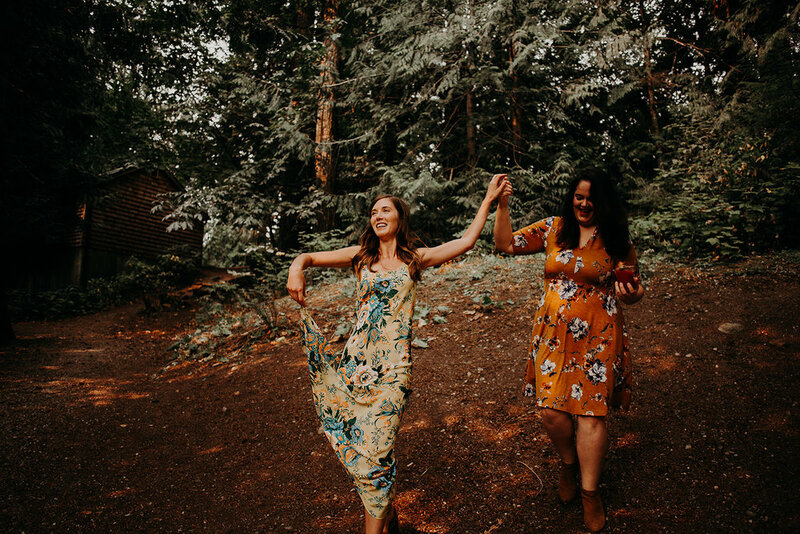 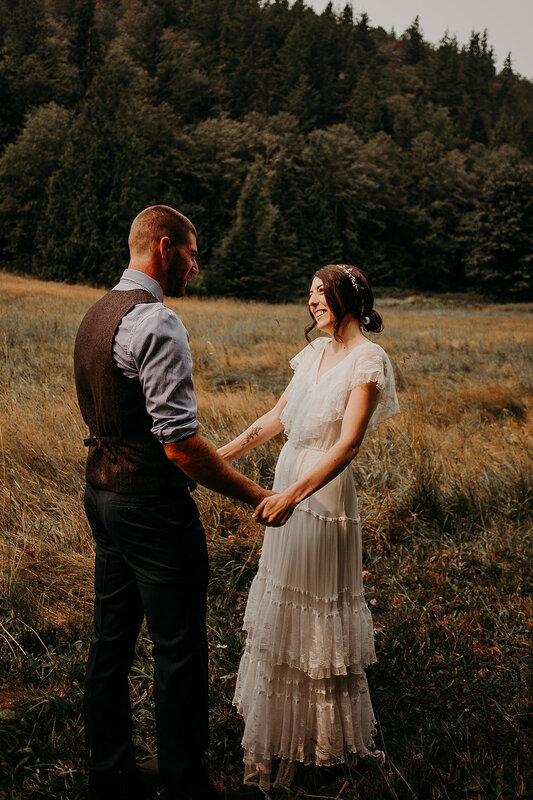 Julia and Walker planned the most intimate laid back summer wedding at Silver Lake Campground in Maple Falls Washington. 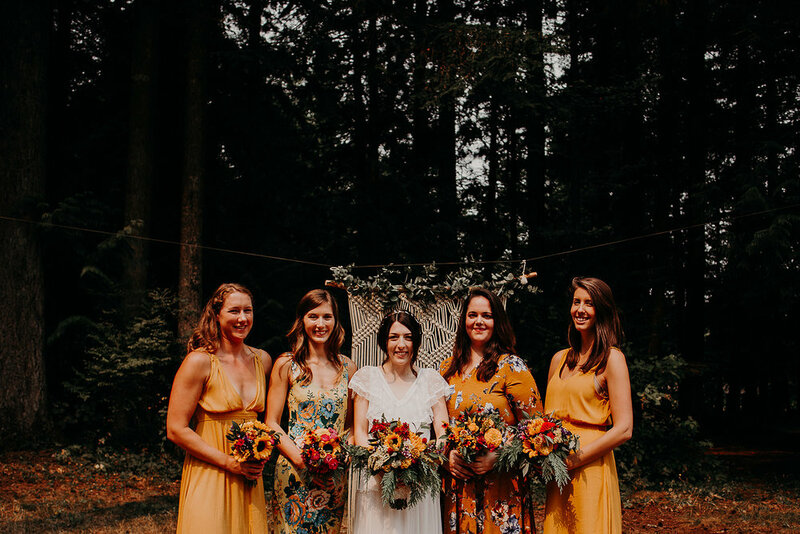 The wedding party all stayed in cozy little cabins the night before on the grounds and got ready in them the following morning. 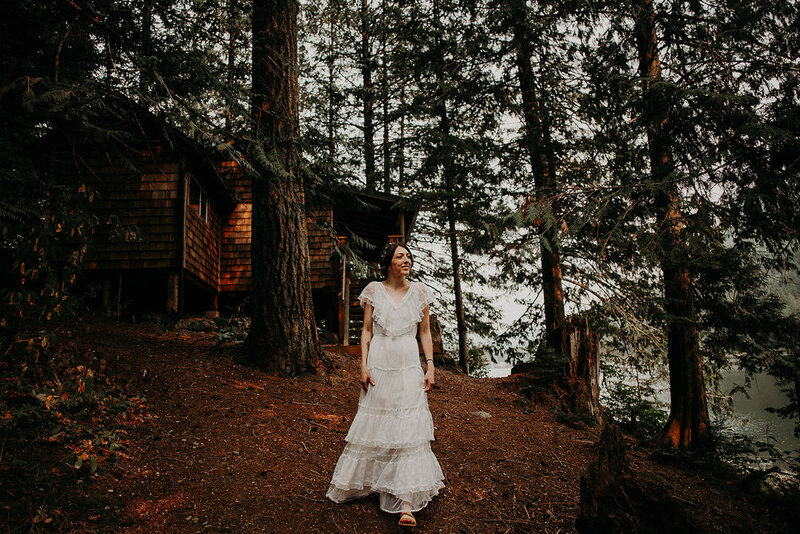 The bride’s cabin backed up to the lake and it was so serene and calming. 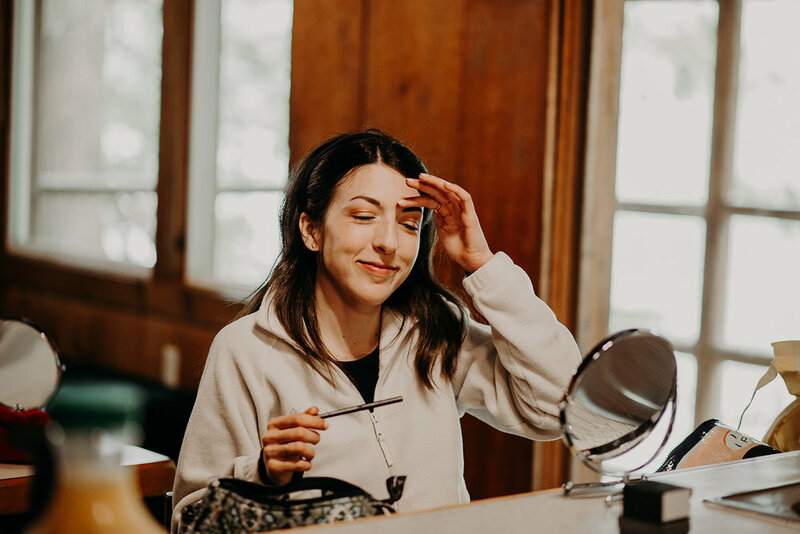 Julia’s bridesmaids made bloody marys to sip on while they applied their makeup and fixed their hair. 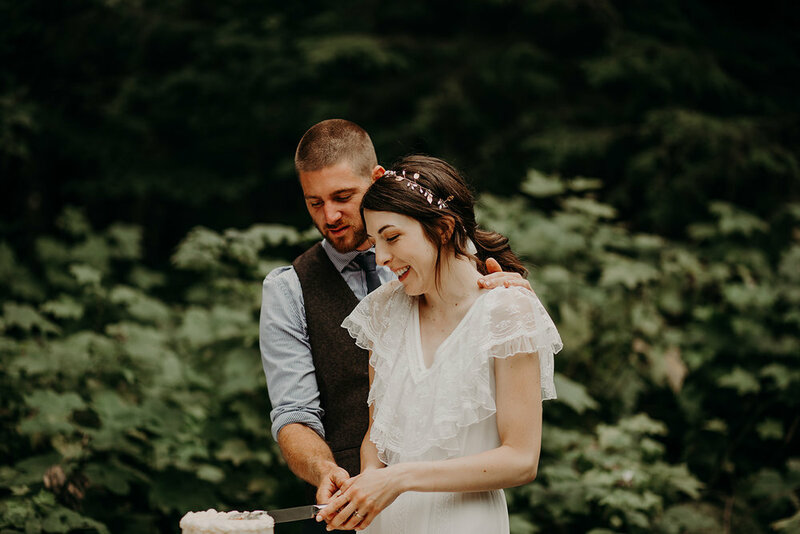 Julia wore a simple lace dress whom her late mother also wore on her own wedding day. 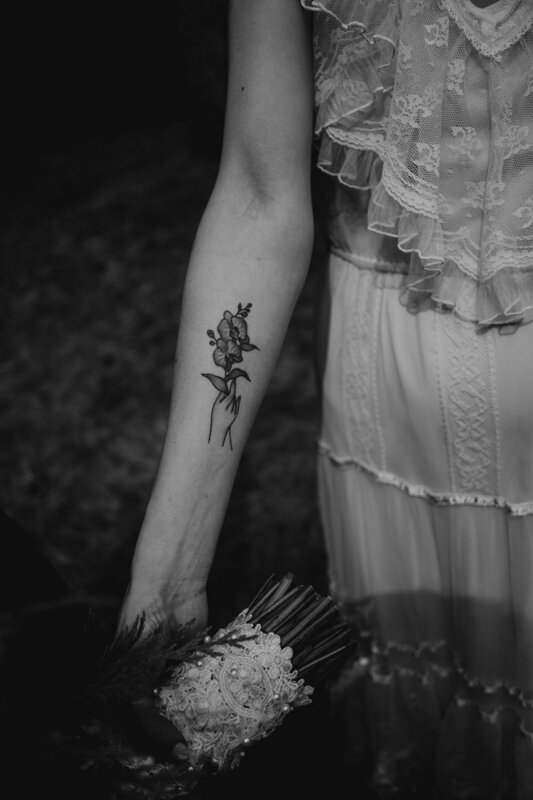 I thought it was such a sweet touch and her mother definitely would have loved it. 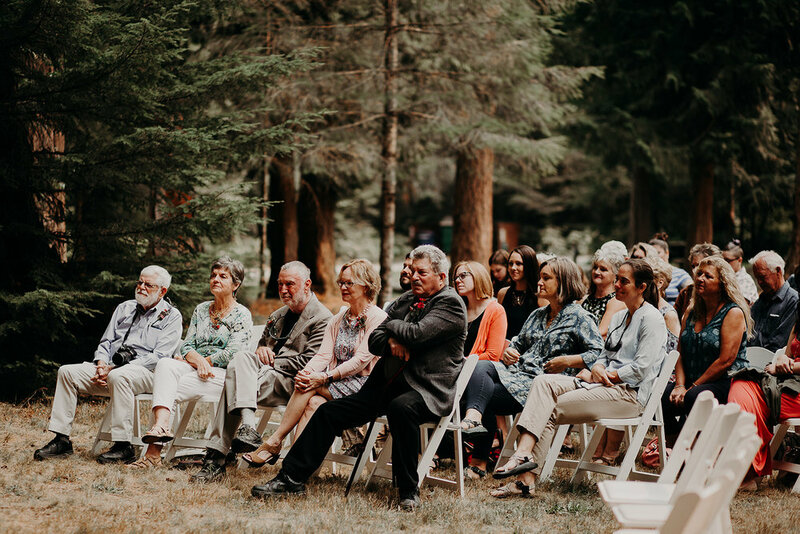 The ceremony and reception took place in an open space near the campground. 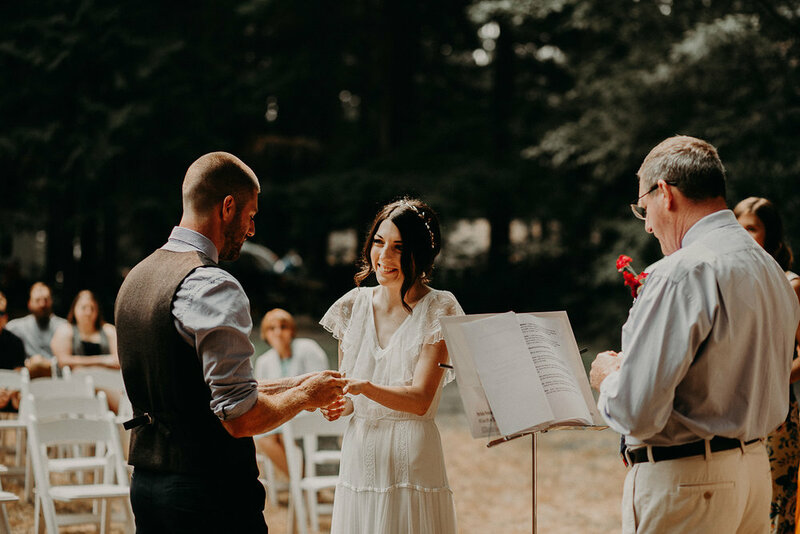 A handmaid macrame backdrop hung between two trees where Julia and Walker made their vows. 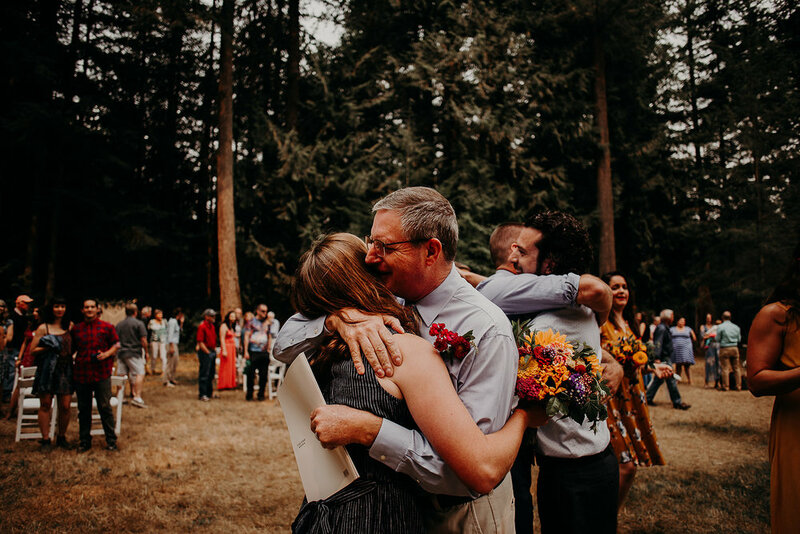 Walker’s mother put together beautiful bouquets from fresh flowers from the local market. 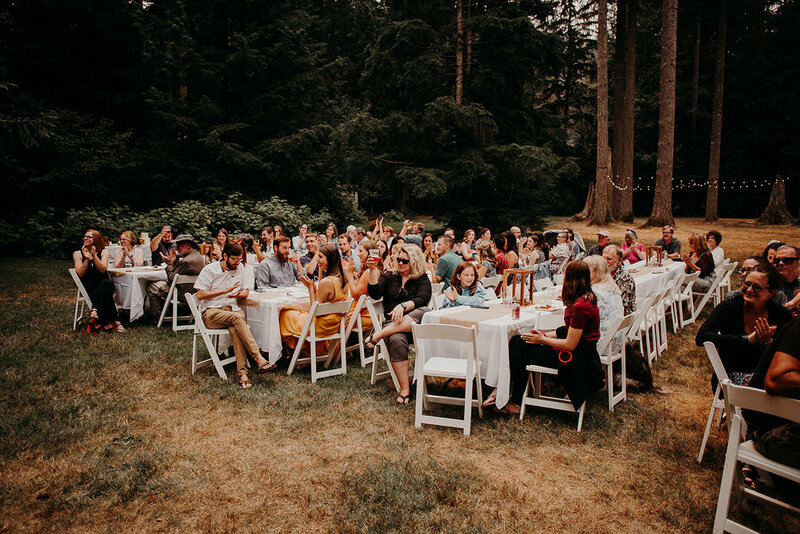 The reception was so laid back and fun and full of games and local beers on tap. 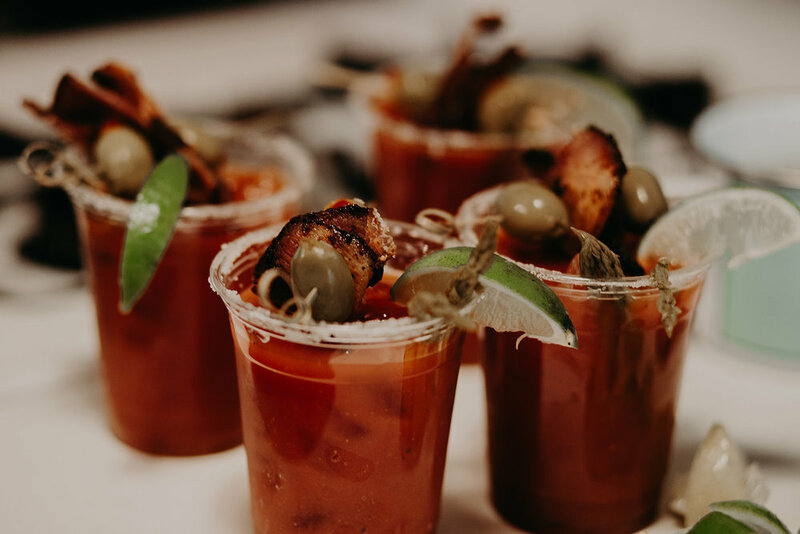 The groom who is also a NC native decided to have the reception catered by a local food truck that serves southern style bar-b-que. 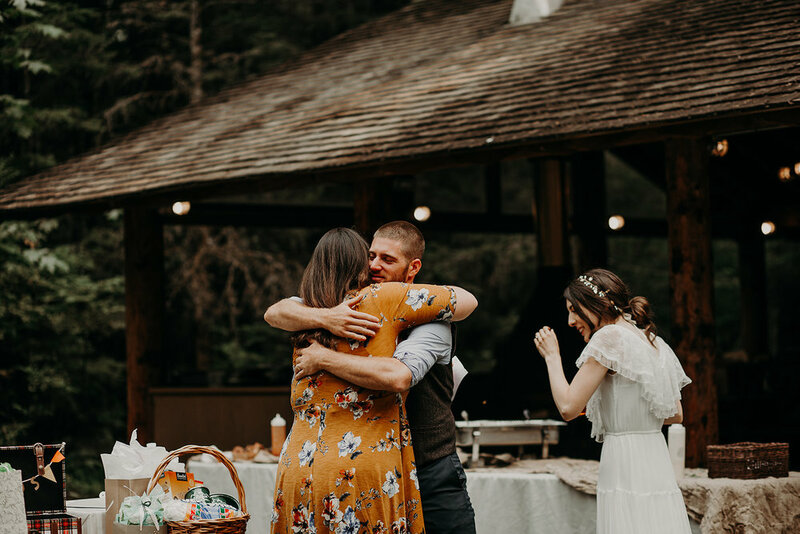 It was a total hit and all the guests absolutely loved it. 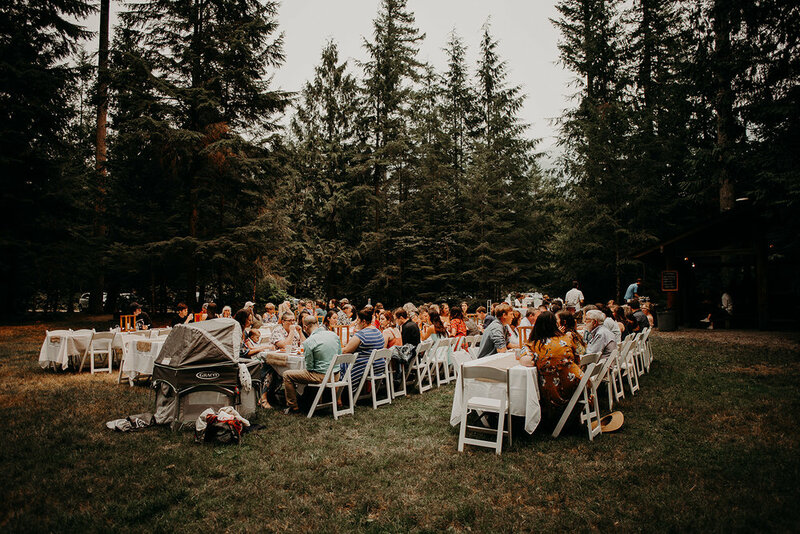 I don’t think it gets any better than a laid back summer wedding with NC bbq.